Welcome to the website of Lord Sheikh. This website is a hub, collecting together all of Lord Sheikh’s recent speeches, events and interests. Please take the time to look through LordSheikh.com and don’t hesitate to get in touch if you have any questions. 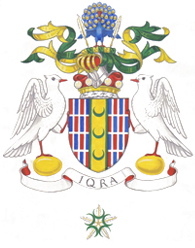 Lord Sheikh’s Coat of Arms was designed by the College of Arms. It signifies the importance of education and conveys the message that Islam is a religion of peace. 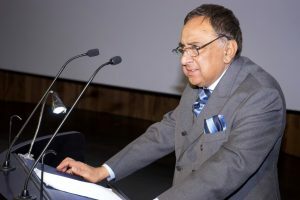 In view of Lord Sheikh’s longstanding connection with the City of London, he took the full title of Baron Sheikh of Cornhill in the City of London when he was appointed to the House of Lords.